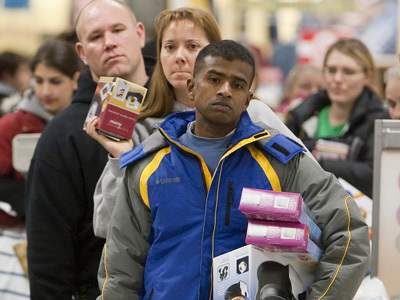 Handling consumer returns is often an unavoidable part of the retail business. Increasingly OEM’s too are confronted with the need to have a solid consumer returns strategy in place. Efficient consumer-to-business Return Material Authorization (RMA) processes involve a great number of challenges. In order to avoid forcing your customers back to a physical returns drop-off point or point of sale, a more customer-friendly returns solution can be adopted by the retailer / OEM. Such a customer-friendly solution, which allows the customer to return goods directly from his home, involves some challenges however. Not only can the number of sending addresses in theory be indefinite and will the returned volumes per shipment be very low, but often consumers are not sufficiently equipped or educated to fulfill the RMA process. When a customer wants to return a product, it can be stressful to put them through a long and involved process. Creating multiple and unnecessary layers in a return situation can lead to losing a customer. It can also cost you extra money in the time it takes a returns agent to execute the extra steps. Streamline your returns process to only two or three steps so that your customer is able to get the problem quickly resolved and your representatives don’t waste valuable time and resources going through duplicate procedures. ReturnPool has developed a number of consumer returns management solutions that allow you to keep the customer happy on the one hand and the costs relatively low on the other.